Looking For An Herb Grinder? Are you looking for the best grinder for your herb? ExpertsofHerb.com was created to give you insights on what to look for in a non-toxic, safe, and durable grinder. Don’t be fooled by cheap grinders at gas stations and head shops: they can be dangerous. Consider buying an herb grinder online, you’ll save money compared to buying one in a store and the number of different weed grinders for sale online far surpasses what you’ll find in your local head shop. Our site will walk you through what an herb grinder is, what the best grinders have in common, what herb grinders you should avoid, as well as the top 3 best grinders available right now online (click here to skip to the ratings). Before weed grinders people had to use scissors or their fingers to grind up herb, which was inefficient and would make your hands smell like weed or other herbs. Now with CNC machining, improvements in herb grinders are seen often that make weed grinders a great and stylish tool for any fan of the herb. There are many things to look for when evaluating the quality of an herb grinder. These factors include: number and shape of grinding teeth, number of pieces a grinder has, the material of the grinder, lid magnets, and extras, among others. Below we describe each factor so that you can get an idea of what characteristics the best grinders have. 1 compartment herb grinders (also called two piece grinders) have only one compartment where the herb is placed, ground, and retrieved. Because of that, the ground herb might be of inconsistent size. Also, retrieving the ground herb from the single compartment can be a little difficult since the teeth are in your way. 2 compartment herb grinders (also called three piece grinders) have the same grinding compartment as the 1 compartment grinder and small holes in the bottom of one compartment that leads to the second compartment. The holes allow only certain sized herbs to fall through and, because of that, you get more evenly ground herb. Since all the herbs are in the second compartment when finished, retrieving the herb is much easier than with a 1 compartment grinder. Prices vary widely based on how many pieces an herb grinder has. Generally, four-piece weed grinders are more expensive than two or three-piece grinders, and for good reason. 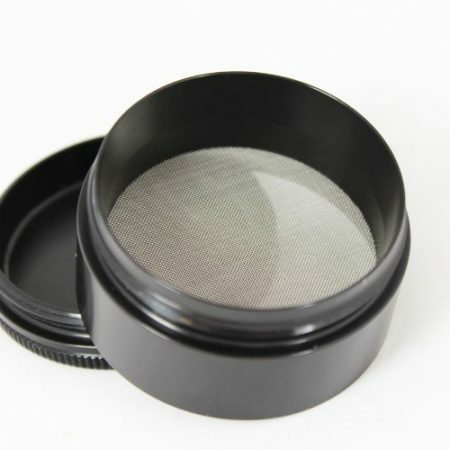 Four-piece grinders use more materials than other weed grinders and often include extra features like a filtering screen and pollen catcher chamber. However, we highly recommend buyers pick up a more expensive four-piece herb grinder because then you get the benefit of producing kief. This is the cheapest material for a grinder. Often only costing a few bucks, acrylic grinders are good when you can’t find another grinder. They do not lost long and, after enough use, the teeth on acrylic grinders will break. Sometimes, small parts of acrylic will get into your herb if you aren’t careful. Acrylic weed grinders often are two-piece grinders, meaning you won’t get the added benefit of kief. Bestgrinder.net highly recommends you stay away from acrylic grinders. Vaporizing, smoking, or ingesting herb with acrylic is dangerous! Don’t be a cheap wad, spend a few more bucks to get a legit grinder. Avoid acrylic grinders: the teeth can break and contaminate your herb. This is a good looking material for grinders and, since they need to be carved, are usually only available in 1 compartment grinders. Only being able to get a two-piece weed grinder made out of wood is a huge disadvantage compared to aluminum. As we’ve mentioned previously you won’t be able to get any kief using a wooden herb grinder. On the flips side, some people just prefer the look and feel of a wooden grinder. It does have a more natural appeal to it for those with hippy leanings. Make sure the inside of the wooden weed grinder is not finished. Paint or any other finishing can get in your herb. Raw wood works best. Also, the teeth on wood grinders are not as good as metal grinders and, sometimes, the teeth is nothing more than nails. I would stay away from wood grinders unless you have a Magic Flight Vaporizer; then, The Magic Flight Finishing Grinder is a great grinder for you. Wood grinders are okay as long as they are made out of raw wood. Most metal herb grinders are made of aluminum and some say they are made of titanium. Don’t be fooled, it most likely will only be titanium coated because titanium is $6 per pound raw whereas aluminum is about $.75 per pound raw. Actually, we mentioned this in our Space Case Grinder review where the anodized aluminum color of their weed grinders is called “titanium”. However, this doesn’t mean that the grinder itself is made of titanium. If you find this a bit complicated, you are not alone, we were confused at first as well. Is aluminum safe? Yes. There are some rumors online about the dangers of aluminum grinders but those are false. If you happen to find some aluminum flaking left over from manufacturing, simply brush them out of the grinder and you are good to go. Metal grinders are your best bet and the ones recommended the most by expertsofherb.com. The best herb grinders will generally have about 50 teeth for a 2.5″ diameter size grinder. Lesser grinders will generally have half that number of teeth for the same size weed grinder. Having more grinding teeth makes sure that the herbs are ground more thoroughly which is better for smoking and vaping. Similarly, the shape of the grinder teeth are also of importance. Most of the best aluminum grinders use some sort of diamond shape to their grinder teeth. However, you might find that some herb grinder companies use a more square-like shape with sharper corners. 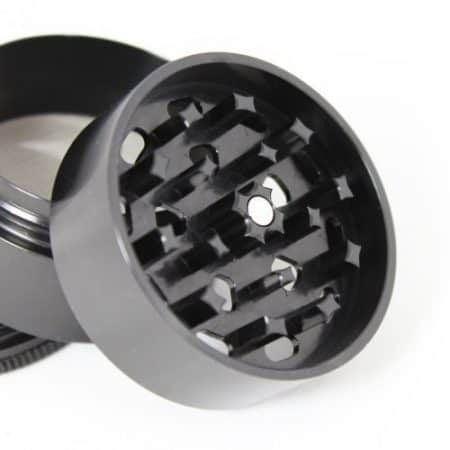 Heck, Cali Crusher Homegrown grinders use long, narrow lines with sharp edges to grind herb. Overall, we still feel that the standard diamond shape is the best shape for weed grinding. Each weed grinder has a unique hole pattern that allows for ground weed to drop into the second compartment. Many of the best grinders, such as Space Case, utilize circular hole patterns allowing for a great amount of herb to fall through. Still, there are other herb grinder brands that use different hole patterns. For example, Santa Cruz Shredder uses oval shaped holes. 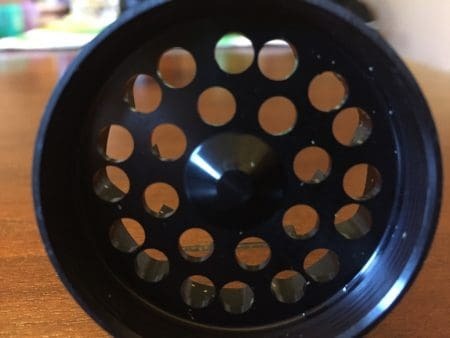 Overall, we do recommend grinders that have circular holes as we’ve found that other hole patterns tend to let herb get to the second compartment without being completely ground. In today’s day and age everyone wants to have a bit of individuality with their grinding experience. Thankfully, herb grinder companies have started to take notice and now offer a lot of variety in their grinders for both functionality and for looks. Let’s take a look at grinder design improvements that have been developed for improved herb grinder functionality. The first one that has come out more recently is the removable filtering screen. 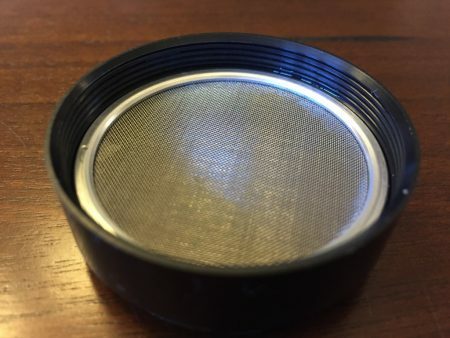 Being able to remove the filtering screen on your herb grinder means that you can more easily clean the screen and actually replace it once it wears out. Several grinder manufacturers have herb grinders with removable screen technology. 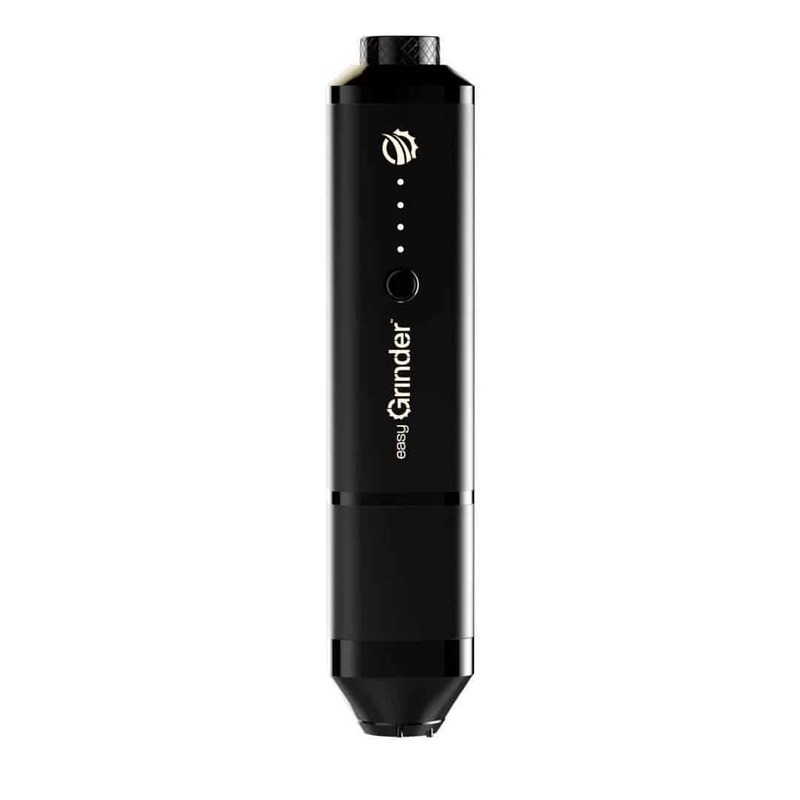 Some of these grinder brands include Phoenician, Compton, Kannastor, and Cali Crusher’s Homegrown line of weed grinders. Metal grinders are the best in terms of durability, sharpness, and quality. Most marijuana grinders are circular in shape and have little rivets that help you grip the lid of the grinder. Lately, there have been some herb grinder companies who have started to add places for your fingers that actually help you grip the grinder. 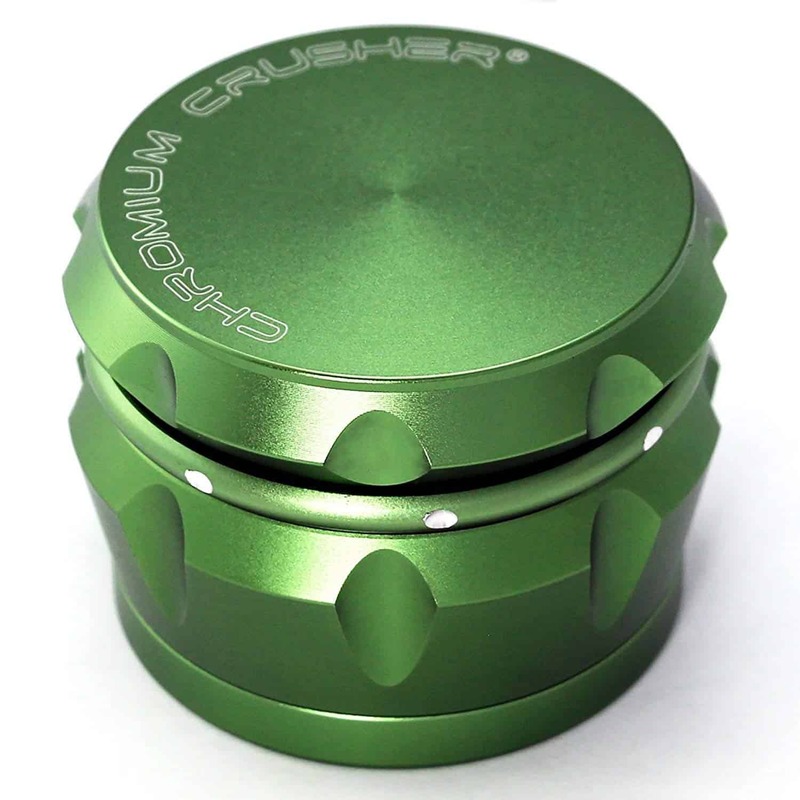 A couple examples of weed grinders with this element include the updated Chromium Crusher and the Sharp Shredda. These finger placements allow you to get a better grip on the grinder in turn making the grinding motion easier. With many upstart weed grinder brands coming into the foray many weed grinders are beginning to come with a lot of extras to add value to the weed grinder customer. This is great for us who like to smoke marijuana as we get a better bang for our buck. This leaves us with more to spend on herb, am I right? One of the nicer extra features that come with some marijuana grinders is a carry bag or pouch. 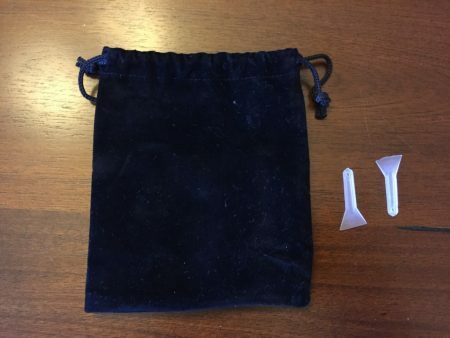 Usually, these are made from a velvet like materials that has draw strings so the top of the bag can be tightened to hold the weed grinder inside. Having a carry pouch also protects the grinder while not in use and makes it more portable. Most herb grinders today come with a pollen scraper, which is a small plastic device used to scrap kief out of the kief catcher. These can be easy to lose as they are small. As a way to combat losing your scraper, some marijuana grinder brands now put in multiple scrapers. Black Tie Grinders make a weed grinder that comes with two pollen scrapers. If you do get two scrapers, then we suggest you put one in a safe place in case you lose the other that is currently in use. 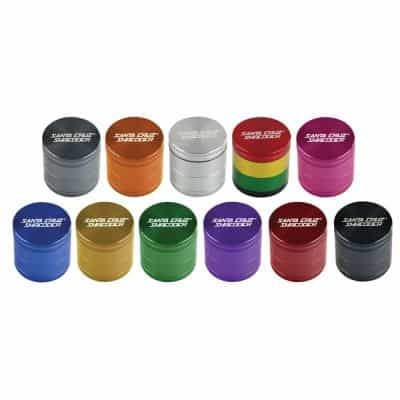 For those of us who like our world a bit more colorful, many weed grinder companies have many different color options to suit your needs. 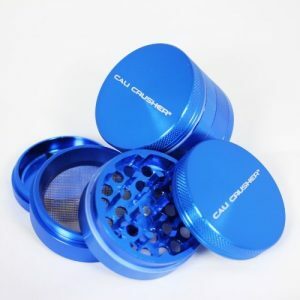 Cali Crusher, Santa Cruz Shredder, and Compton are all herb grinder companies that have a large number of color options available with their weed grinders. Most common colors can be found such as blue, purple, green, red, gray, yellow, and even rasta (combination of red, yellow, green, and black). So, whether you are a fan of the Dallas Cowboys or Bob Marly, you can find a color or style of marijuana grinder that fits your interests. Last on our list of extras that come with some herb grinders is special packaging. Special packaging generally means a customized gift box that the grinder comes in. A couple brands that feature these custom gift boxes include Sharp Shreddaand Black Tie. Each of these have unique boxes that represent their weed grinder brands. This also gives you the feeling of getting something special, something that is more than just a weed grinder, but an experience. While we know that expertsofherb.com is the best resource we it comes to information and reviews on herb grinders, we recognize that there are other sites that offer good information as well. We do recommend buying your grinder from Amazon.com because they simply have the most weed grinders to choose from at some of the lowest prices to be found. However, below we’ve added a couple of other online smoke shop retailers that sell herb grinders. Hail Mary Jane– This page has summaries on some of the different generally marijuana grinder categories. Herb.co – This page has mix of herb grinders from the most unique to the highest quality. Reddit/weed – The weed subreddit has a lot of information about marijuana and marijuana accessories. Without any further ado, here are the top 10 best grinders that you can find anywhere. When considering which weed grinders to include in our top 3, we took in several factors. Each of the top 3 grinders are made from anodized aluminum, which is a unique process that gives aluminum color without painting. This means that none of the best herb grinders on our top 3 list will peel or chip. Another factor investigated for each weed grinder was the number of shredding teeth relative to the size of the grinder. Generally, you want a cannabis grinder that has more teeth as having more teeth lends itself to a finer and more even grind. So, when you smoke the resulting herb product it will burn evenly. As a rule of thumb, the best weed grinders that are 2.5 inches in diameter have around 50 teeth total. Equally important when comparing the best weed grinders is the number of pieces. Most full-sized herb grinders come with four-pieces. This includes a magnetized lid with teeth, a second piece that connects to the lid that has teeth and holes, a third piece that is a compartment for the ground up herb that has a metal screen sifter, and a fourth piece that collects all the kief that is produced from using your herb grinder. The last thing we looked at was the value each weed grinder provided. Value is really the combination of quality and price. So, our goal was to discover the best grinder that combined those two qualities. We feel confidently that we’ve made the right choice. 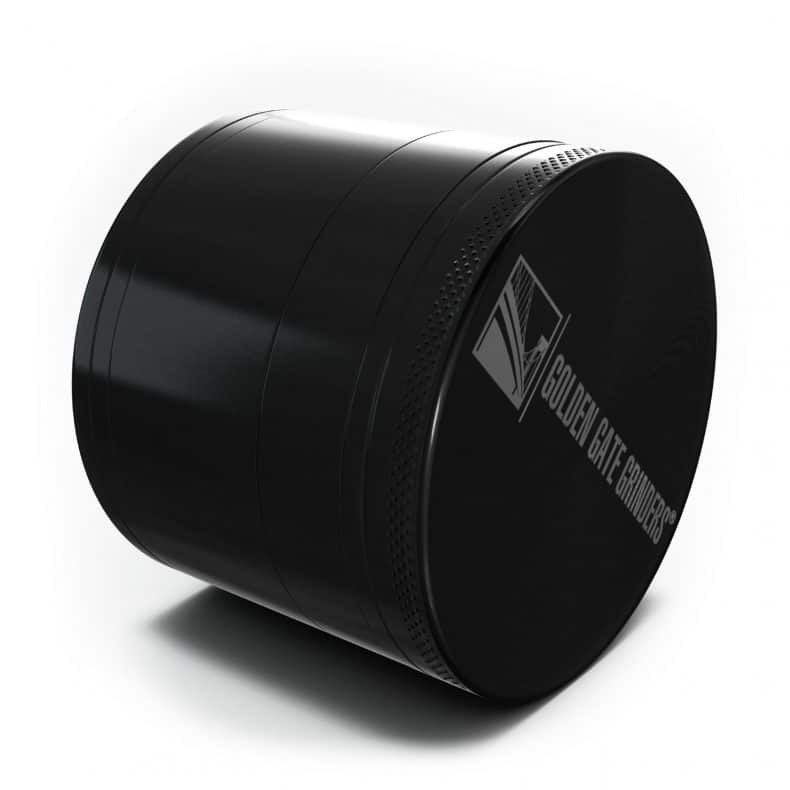 The Black Tie 2.5 Inch Grinder is the best grinder for anyone looking for a high quality premium grinder. Priced at around $30, the Black Tie Grinder has high end features without the high end price. Let’s take a moment to talk about the features found with each Black Tie Grinder. 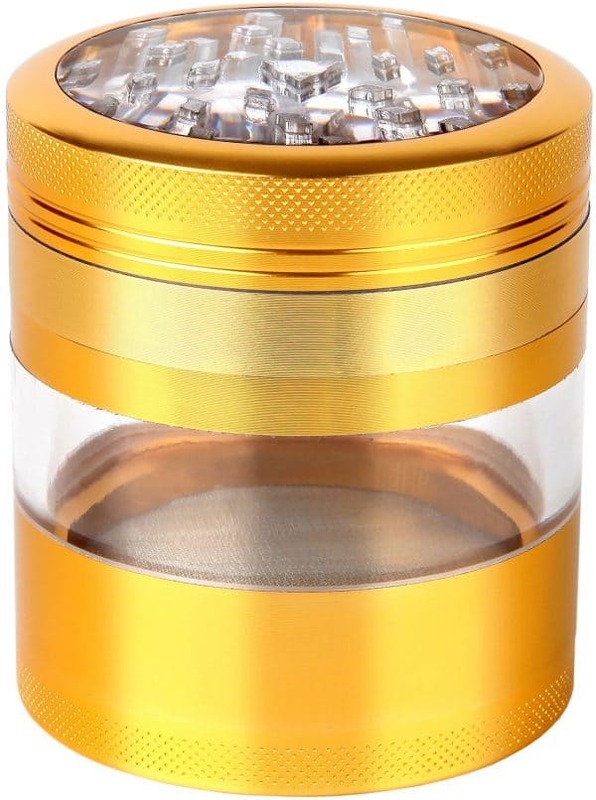 First, our top rated grinder has 50 diamond shaped teeth that grind herb to an optimum consistency. 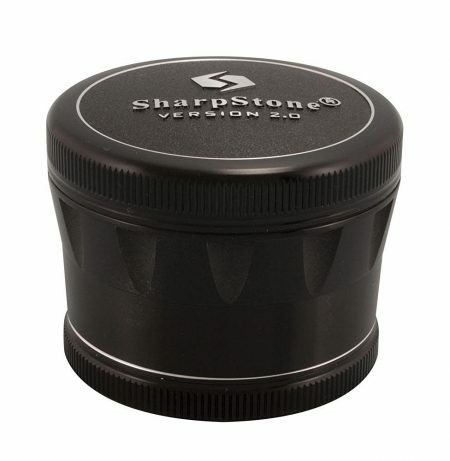 That makes the resulting product produced by these best rated grinders great for both joints and vaporizers. The actual twisting action of the Black Tie Grinder is one of the smoothest we’ve ever encountered. Bottom line: this thing was created to shred herbs. 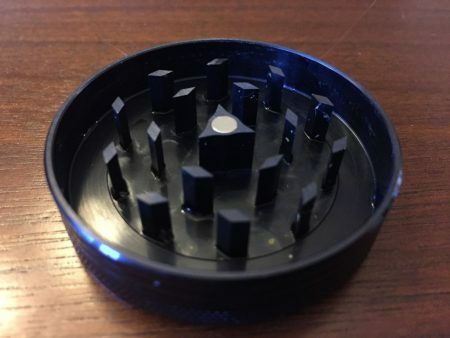 The second piece of this herb grinder has 30 strategically placed holes to make sure that herb is able to make it to the compartment area without jamming. Each of these herb grinders has a steel mesh filter screen for kief. But while other filter screens are kept in place by a piece of plastic on the bottom, the updated version of the Black Tie Grinder actually uses an extra strong piece of metal. This means that over time the screen will stay in place and won’t be at risk of popping out. 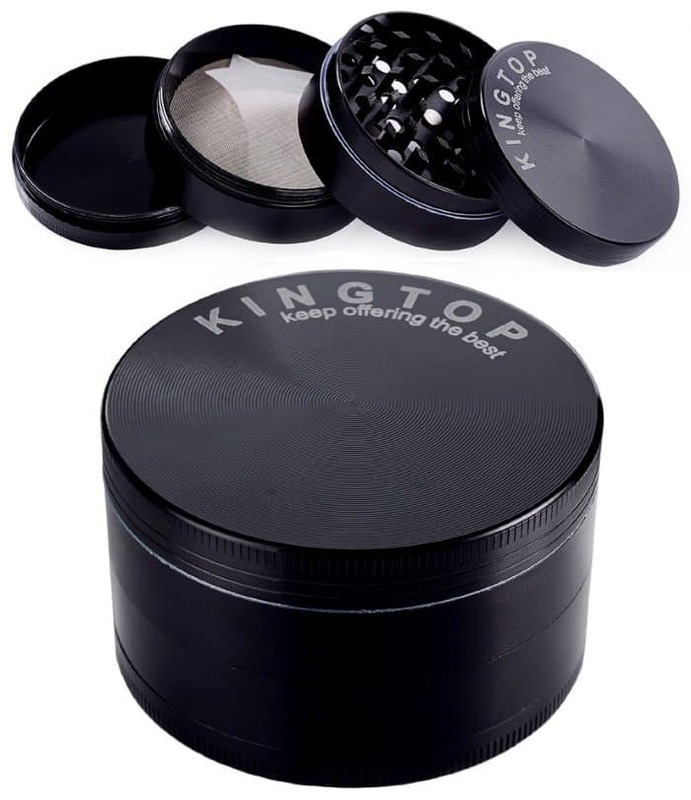 Another update that we think is really badass is the newly designed kief catcher compartment on the Black Tie Grinder. Through improvements made with the CNC machining, Black Tie Grinders no longer have any thread marks on the bottom this piece. On top of that the corners are now rounded so that scrapping kief out of this piece is a breeze. Everyone of us knows how freaking frustrating it can be to lose your plastic pollen scraper. Well, Black Tie has you covered as they now put two pollen scrapers in each of their grinders just to help you avoid this frustration. We recommend that you put the extra scraper in a safe place, like a drawer, so that if you lose one you’ll know where to find the extra scraper. Another bonus you get with each updated Black Tie Grinder is a velvet carry pouch with draw strings. This pouch protects your herb grinder from any potential dents of scrapes so that your herb grinder stays in tip-top shape. We’ve actually felt this carry pouch in our own hands and can verify that we were impressed by its quality. It should be pretty obvious by now that Black Tie makes a pretty dope weed grinder. On top of that each herb grinder also comes with some pretty cool extras as well. 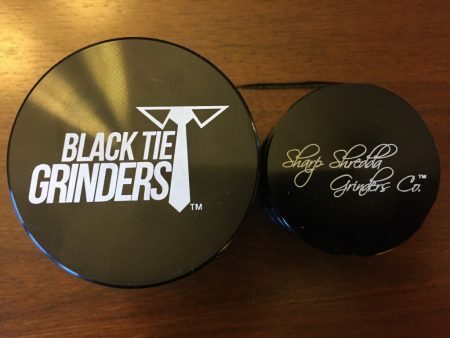 Finally, Black Tie Grinders are priced reasonably at ~$30, which is far less than comparable USA made grinders that charge upwards of twice as much or more. 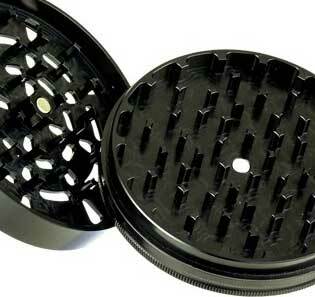 Without a doubt, Black Tie Grinders are the best weed grinders when it comes to the combination of quality and price. They get five stars on our value indicator. We’ve also been in contact with Nick from Black Tie Grinders to talk more about his branded weed grinders. He mentioned to us that the goal of Black Tie Grinders is to create the best grinder possible that can compete with the likes of Space Case and others, while being priced more reasonably. Nick also mentioned that the goal of Black Tie Grinders is to not just be the best herb grinder, but also create a lifestyle around the brand. We feel the black tie logo encapsulates this perfectly. Based on our conversation, I could tell that Nick was a standup guy and someone who truly cares about the quality of his grinders. This shines through with Black Tie’s lifetime warranty and their exceptional customer service. Few names in the world of weed grinders evoke such a positive response as Space Case. 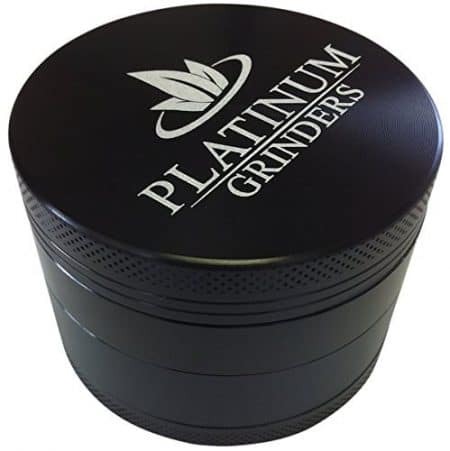 They have for many years been the market leader in premium quality herb grinders, and for good reason. All of Space Case’s best grinders are made in the USA, which provides a reputation of top of the line quality. Despite a higher price point, Space Case continues to sell very well and users of their products have overwhelming positive things to say about the brand. 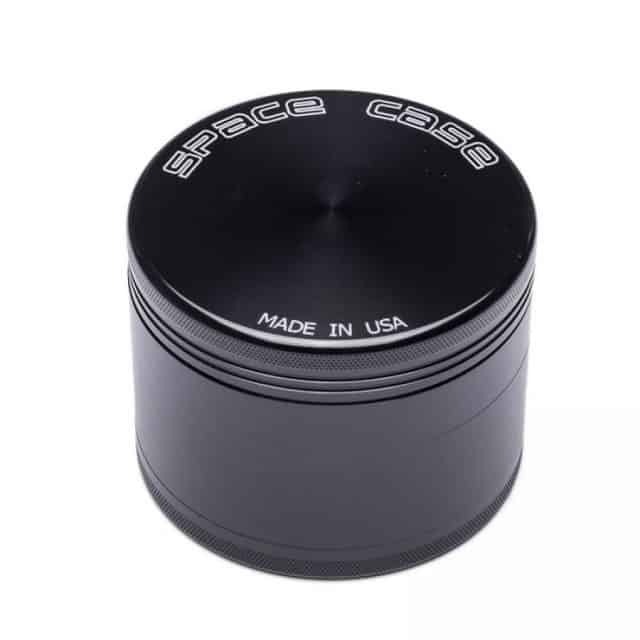 The Space Case Grinder is an anodized aluminum grinder that is great for both recreational smokers and medical marijuana patients. From the perspective of teeth design, the Space Case Grinder and Black Tie Herb Grinder have a lot in common. The teeth of the Space Case grinder are strictly diamond shaped, while the Black Tie Grinder have more of a hybrid between a diamond and trapezoid shape to their teeth. 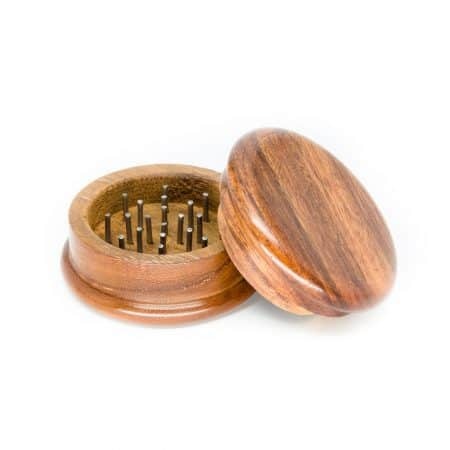 Space Case also boosts a large number of teeth on their herb grinders, which as we’ve mentioned previously is the number one factor when it comes to producing a optimal grind. Where the Space Case really differs from Black Tie is in the hole design. 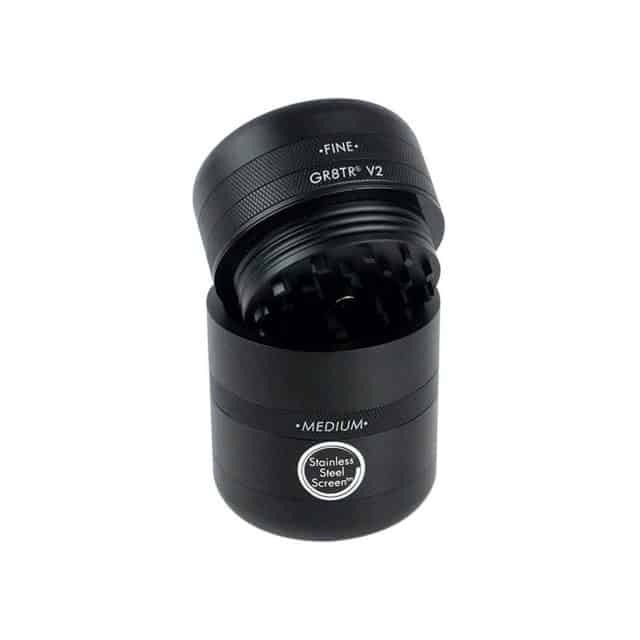 Space Case Herb Grinders have a greater number of holes that ground herb can fall through during the grinding process. This will likely mean that more herb will fall through without getting as complete a grind as the Black Tie, but as with most things herb grinders, which one you prefer will likely come down to personal preference. 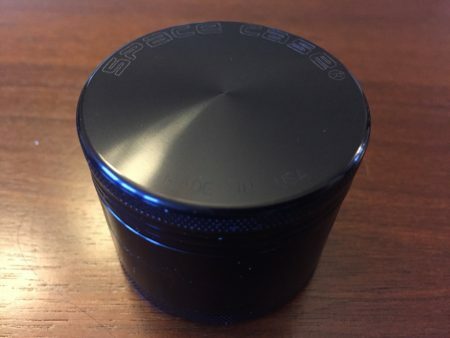 Space Case Herb Grinders have strong neodymium magnets on both the lid and the second-piece, which attract to each other. Having a marijuana grinder with this type of magnet is very important during grinding, as without it it is easy to spill that precious herb all over the place! Thankfully, Space Case has some of the best magnets in the herb grinding business. The differences of the filtering screen on the Space Case and the Black Tie are negligible. 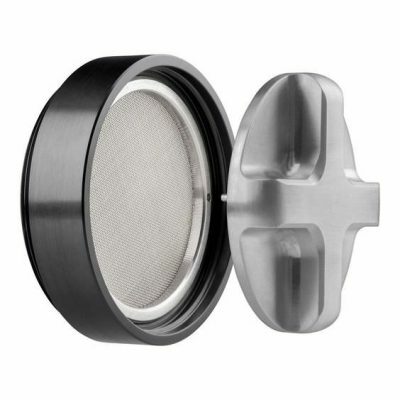 Each weed grinder filters very well, and both are reinforced with a metal o-shaped ring. As for the fourth piece of the Space Case, there are no grooves on the bottom, which is great. However, Space Case does not feature rounded corners to make getting kief out easier. As seen in this article, there are a couple of myths about Space Case Grinders that are worth pointing out. First, many people mistakenly believe that Space Case Grinders are made from titanium. This simply is not true. This myth derived from the name of the black anodized finish of the Space Case Grinders, which Space Case calls “Titanium”. 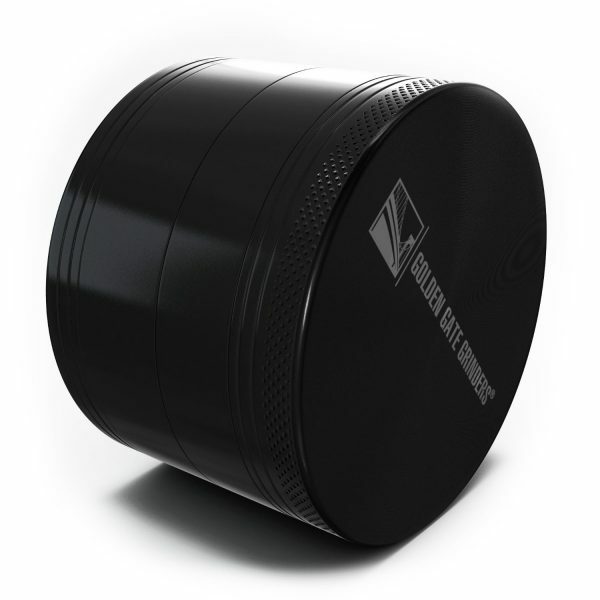 All of Space Case Grinders that we are aware of are made from anodized aluminum. The second myth is that Space Case offers a lifetime warranty. 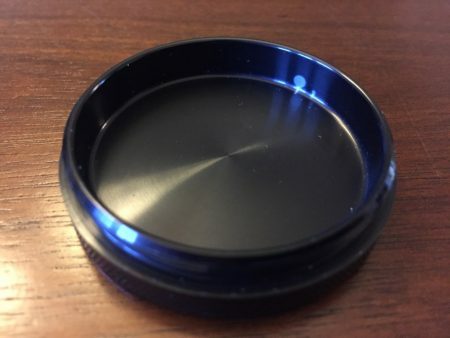 Actually, Space Case does not offer a warranty on their grinders. While this is slightly disappointing they do make some of the best grinders so we wouldn’t worry too much about this. We didn’t mention these myths to deter you from buying Space Case, but to make sure you are an informed customer. We still think Space Case makes great grinders and you should buy with confidence. 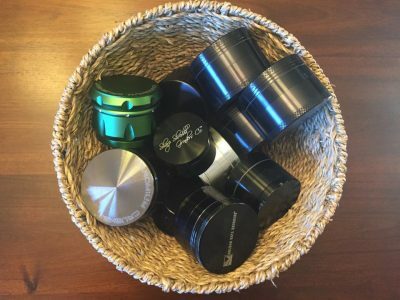 Space Case does not offer too many extras when it comes to their herb grinders, preferring instead to focus on the quality of their core product. But that doesn’t mean that you don’t get anything extra when you buy a Space Case Grinder. 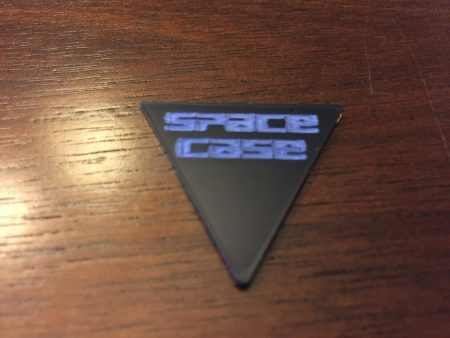 In fact, each Space Case comes with a guitar pick pollen scraper that has the Space Case logo on it. And for all the guitar players out there this is a pretty cool feature. Value is the main reason that the Space Case Grinder fell to second place behind the Black Tie Grinder. 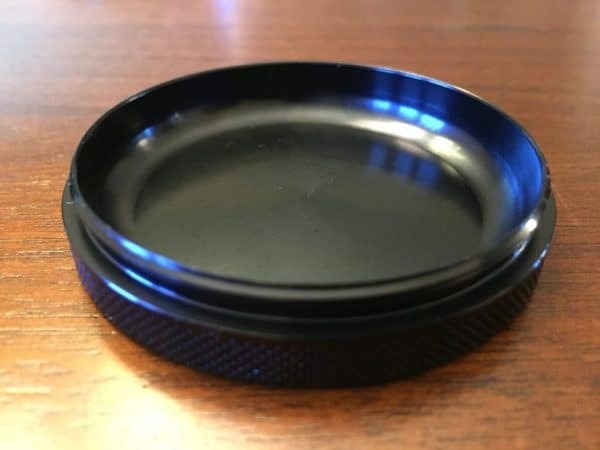 While you can pick up a 2.5″ diameter Black Tie Grinder for about $30, a 2.2″ diameter Space Case’s price can range from $50-$60 depending on the seller (click to see current price). The fact of the matter is that Black Tie Grinders are just as good (if not better) than a comparably sized Space Case, but are damn near half the cost to boot. Truly the only real advantage that Space Case has in this realm is that it is made in the USA while Black Ties are made in China. But the bottom line is the craftsmanship of these grinders are equally spectacular. 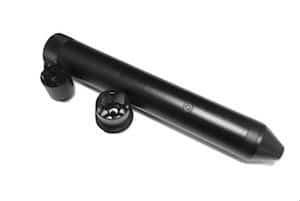 If you are on the fence about which of these two great weed grinders to get, we recommend saving yourself some cash and taking a serious look at Black Tie before going with the traditionally popular Space Case Grinder. When buying a Space Case Grinder on a web-based marketplace like Amazon, be sure to check the seller’s ratings before purchasing. Often times sellers sell Chinese knock-offs of Space Case that are not the same quality, and most importantly, not a genuine Space Case Grinder. Our number three pick for best herb grinder is the Santa Cruz Shredder. The medium sized version of this weed grinder is 2 1/8″ in diameter and Made in the USA. As with the Space Case, the Santa Cruz Shredder is great for those looking for herb grinders for either recreational or medicinal purposes. 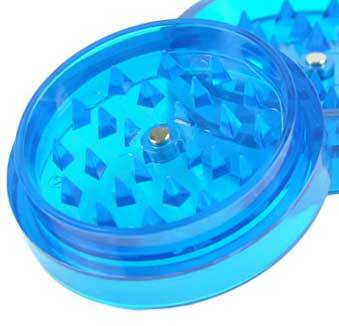 It is an anodized aluminum grinder like our other two best grinder picks. 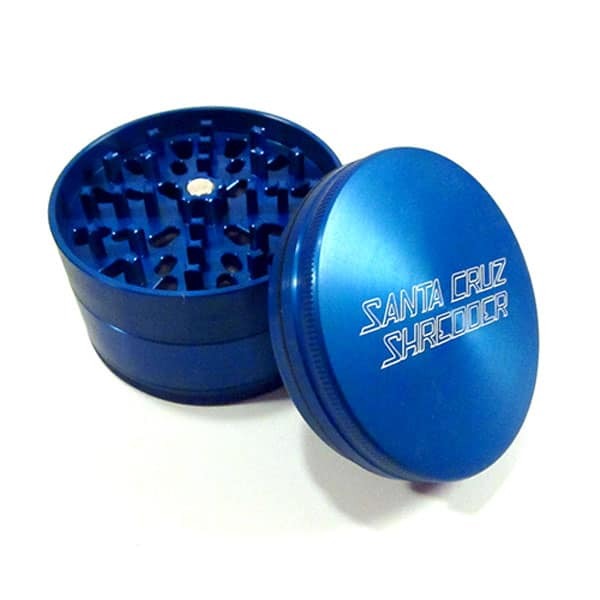 The medium sized four-piece weed grinder from Santa Cruz Shredder is 2 and one eighth inches in diameter. This is significantly smaller than the 2.5″ grinders from Black Tie and slightly smaller than a medium Space Case herb grinder. This is really where the Santa Cruz Shredder differentiates from the other two best grinders on our list. The Space Case Weed Grinder and Black Tie Grinder both basically have diamond shaped teeth. On the other hand, Santa Cruz Shredder Grinders have rectangular teeth with indented sides so that each corner is sharp. The idea behind this design is that it offers four sharp points for each teeth compared to the two sharp points found in a diamond shaped teeth design. We like the idea, but the Santa Cruz Shredder simply does not grind herb as thoroughly as either the Black Tie Grinder or the Space Case Grinder. On the other hand, the Santa Cruz Shredder will still outperform many other herb grinders that are available for sale. Hole pattern is another area where the Santa Cruz Shredder differs from the Black Tie or Space Case. With the Santa Cruz Shredder, the holes are oval shaped rather than circular allowing for a greater amount of ground herb to fall through each hole. We do like this design as it maximizes the capacity for each hole in the herb grinder. 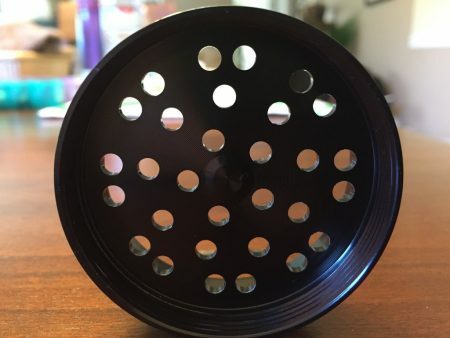 Overall, this is our favorite hole pattern out of the three best weed grinders. 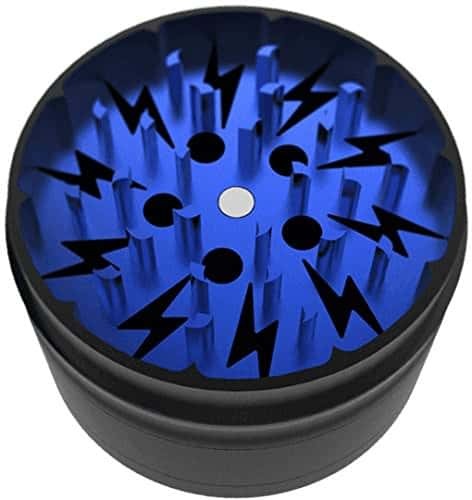 The magnets on the Santa Cruz Shredder are comparable to most other anodized aluminum herb grinders out there today. They use two small magnets, one on the lid and one on the second piece, that attract to each other and keep the lid in place helping to avoid herb spills. 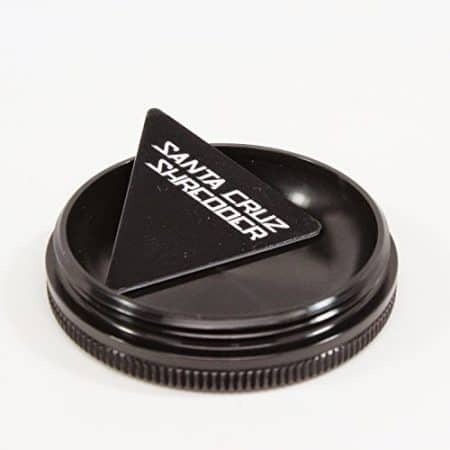 We really have yet to find a marijuana grinder that has a unique magnet design, and the Santa Cruz Shredder is no different. The magnets on this herb grinder will certainly help keep the lid on. Like the Space Case, the Santa Cruz Shredder is an herb grinder that does not come with many extras. You won’t get some special gift box or a carrying pouch with the Santa Cruz Shredder. Nor will you get an extra scrapper. However, the Santa Cruz does well at keeping them simple and allowing the grinder itself speak to the quality of the product. While extras are great, they certainly are not more important than the quality of the herb grinder itself, am I right? One aspect of the Santa Cruz Shredder that might be consider an extra is color variety. Santa Cruz Shredders come in many different colors including pink, green, gray, black, blue, purple, rasta, and pretty much any other color of the rainbow you can think of. Being able to get your weed grinder in a special color certainly is fun for those of us with a favorite color. Similar to the Space Case, the Santa Cruz Shredder will come with a guitar pick kief scrapper. Honestly, as a guitar player I do like having an extra pick around, but they don’t seem to do as nice a job scrapping kief as the scrappers found with the Black Tie Grinder. It’s no secret that when it comes to purchasing herb grinders you want the best grind for your buck. For those of us not made of money, Masterdam is a great choice. 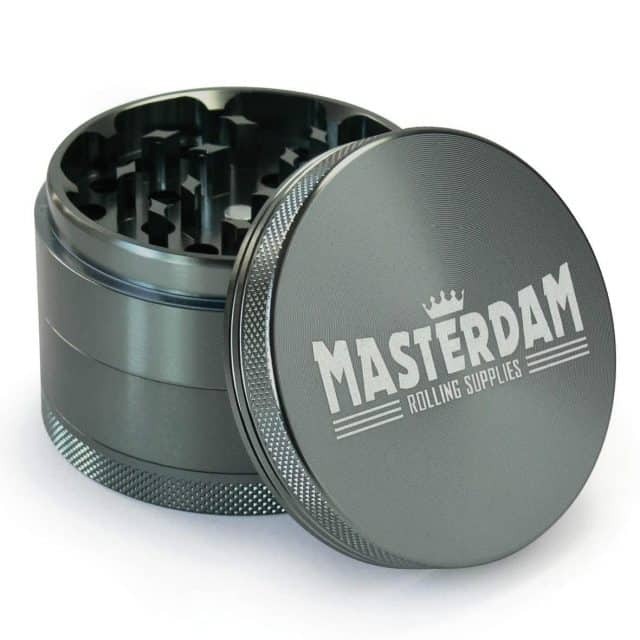 Made from aircraft grade aluminum, Masterdam Grinders can hang with many of the higher quality grinders while costing less than $20 for the larger 2.5 inch version. 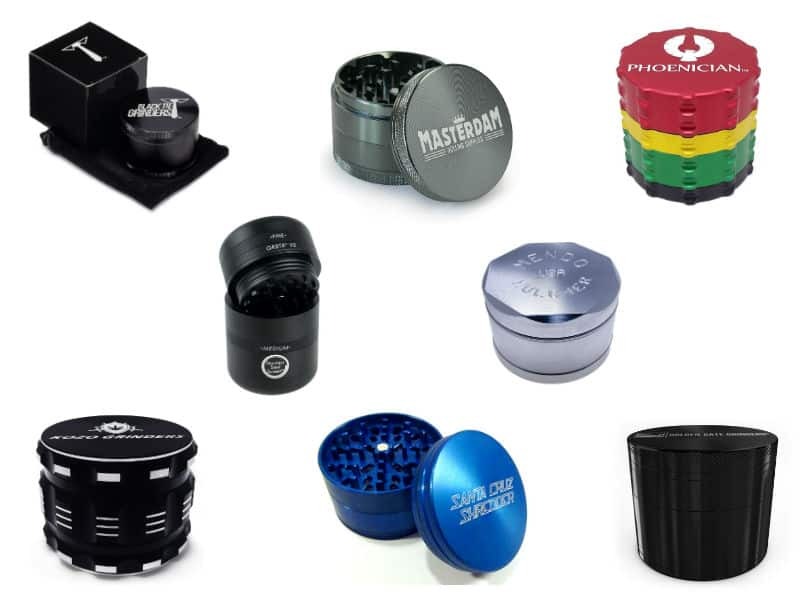 Masterdam Grinders come in a variety of sizes and colors. Starting with size, you can get a standard Masterdam Grinder (2.2 Inch) or large (2.5 Inch). The one that is right for you will depend on how often and how much herb you plan to grind. Like your grinder to have a little flair? If so, you’ll like the different colors that Masterdam Grinders come in. Whether you want the standard black, or show off your grinder in bright pink, Masterdam has got you covered. The materials of Masterdam Grinders is also worth mentioning. I’m sure like me you don’t like your herb grinder to get stuck, thankfully these grinders work smoothly and won’t get clogged with regular cleaning. 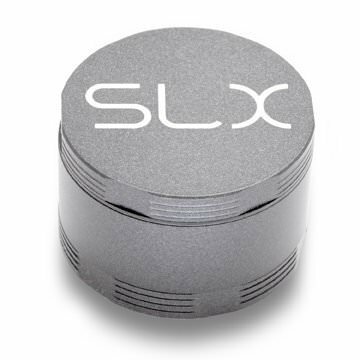 Strong neodymium magnets keep the lid in place to help eliminate spills. 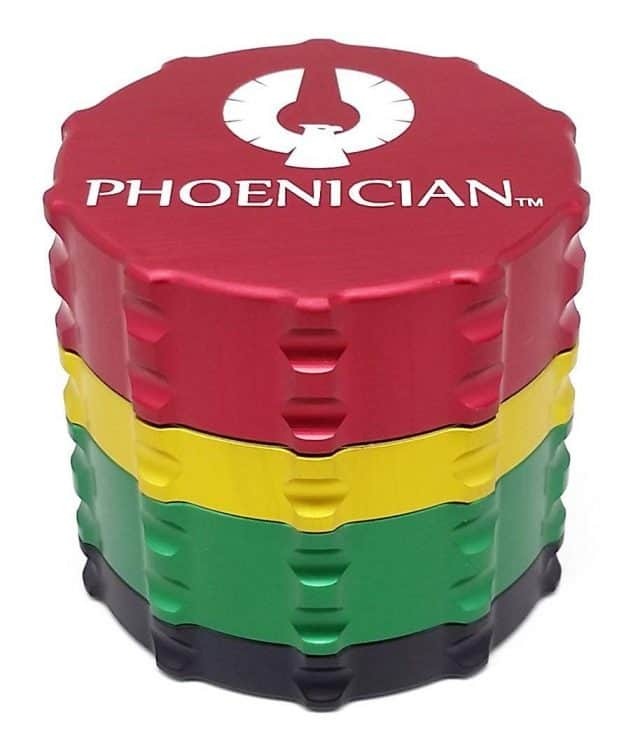 Few herb grinder brands have brought as much innovation to the table as Phoenician. Their grinders are some of the most technologically advanced on the market. It all starts with the design. For those who invest in a Phoenician Grinder they’ll get a piece that has a proprietary “fast lock system” that eliminates the need for threads. Another great feature from Phoenician is their replaceable filtering screen. With most other grinders you’d need to purchase a whole new piece once your screen wears out, but not with Phoenician. With their grinders all you need to do is purchase a replacement screen and screw it into place. Even the teeth of the Phoenician Grinder have been strategically placed to optimize the grind. You can tell that the people behind this grinder thought long and hard about how to design an herb grinder that changes the game. One of the best selling herb grinders on Amazon, Golden Gate has made a name for themselves since coming on the scene in late 2013. I hate it when paint chips off my grinder and into my herb, and so does Golden Gate. That’s why their grinders use anodized aluminum that minimizes paint chips and keeps your grinder looking new for longer. Golden Gate Grinders are also designed with diamond shaped teeth that we find to be the best when it comes to creating an even grind. A rounded pollen catcher helps to utilize the kief with ease. And we thought that Phoenician Grinders were focused on innovation, Kannastor appears to have something to say about that with their GR8TR V2 Herb Grinder. The GR8TR V2 is the only herb grinder we know of that has two different teeth plates so that you can choose what kind of grind you require. As with the Phoenician Grinder, Kannastor Grinders feature a replaceable filtering screen so that you don’t have to throw out your piece just because your screen breaks. For most, that amount of innovation would be enough, but not for Kannastor. Featured on their GR8TR V2 is a bonus storage area so you can keep even more ground herb fresh. The aluminum used to make the Kannastor GR8TR V2 is food grade, meaning it is safe to be used with foods. This should offer some peace of mind that using this herb grinder is safe. Kozo is pretty new to the herb grinder scene, but they’ve made quite a splash in that time. One of the best selling brands on Amazon, Kozo has built a reputation as being one of the best herb grinder manufacturers out there. The main benefit of their herb grinders is the indent around the edge of their grinders that allow you to get a better grip on the grinder for turning. 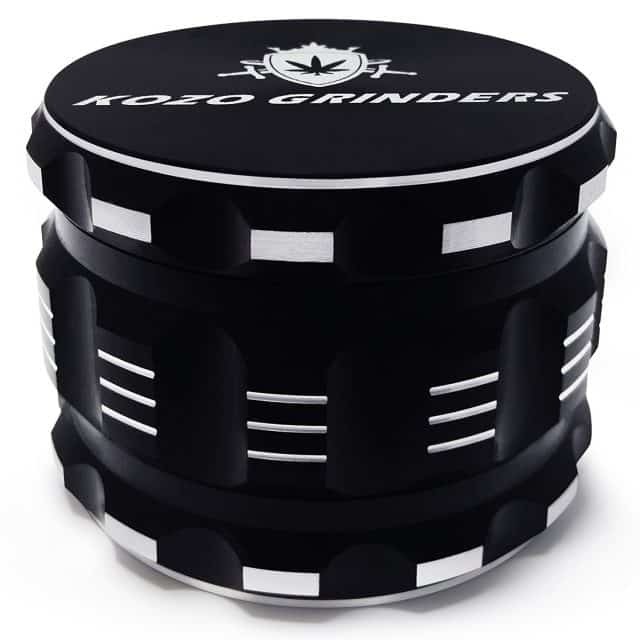 This makes Kozo Grinders a good choice for those who use MMJ due of arthritis. 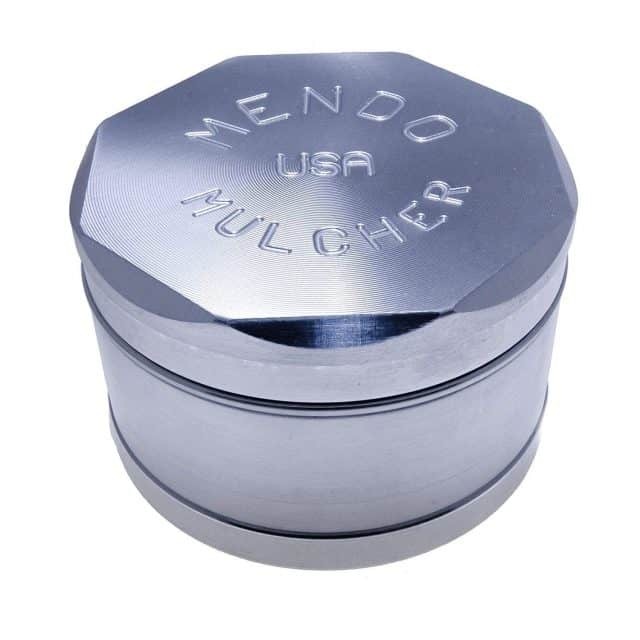 Mendo Mulchers is one of the older herb grinder brands and are proudly made in the US of A. These herb grinders get rid of a lot of the fluff that comes with other grinders like paint and complicated features that often only make the grinding process more difficult than it should be. Instead of trying to create a complex piece, Mendo Mulcher went in the other direction and created a grinder that is more minimal and built to last a lifetime. For those who crave choice and variety, Zip Grinders may just be the herb grinder brand for you. 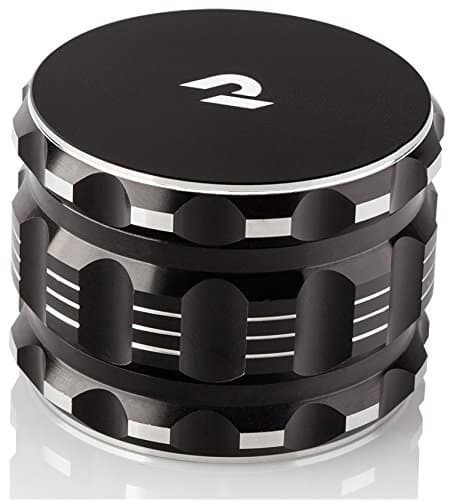 You can purchase Zip Grinders that are the standard 4-piece with unique lid designs, and even pagoda shaped grinder for those who like a little Asian influence. Their most popular grinder, the 4-piece grinder with a clear collection chamber and lid has received an impressive 1,900 reviews on Amazon. This is a perfect grinder if you want to actually see your herb being ground. It features 49 diamond shaped teeth made to cut through your bud with ease. Want versatility? Look no further than this Zip Grinder. Here’s the bottom line guys, we have tested and personally used many of the best grinders when deciding which one would take the top spot in our weed grinder rankings. The honest truth is that most of the top end anodized aluminum grinders offer similar grinding qualities. But there are subtle differences that help certain marijuana grinders stand apart. 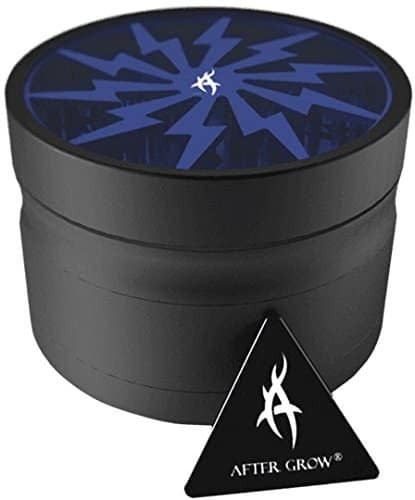 While better known herb grinder brands such as Space Case, Phoenician, and Santa Cruz Shredder are popular and available at most head shops, Black Tie offers a combination of value and quality that has yet to be matched. 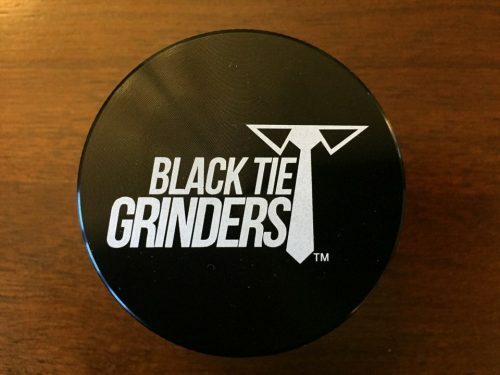 From a quality standpoint, Black Tie Grinders is one of the best grinders on the planet. Now that you know about the quality, and why Black Tie Grinders ranks 1st in our best grinder rankings, let’s look at value. Really there isn’t a better herb grinder available on the market today. Black Tie Grinders go for about $30 (see current price) and offer a lot of cool extras with each herb grinder that is purchased. Lastly, the customer service you receive from Black Tie Grinders really is second to none. Anytime we’ve reached out to them they have been positive and happy to work with us. Unfortunately, we can’t say that about all the grinder companies we’ve reached out to.